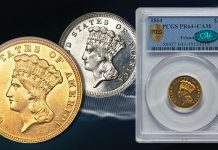 The American Numismatic Association’s 2011 Sacramento National Money Show features some of the world’s most valuable and historical coins and paper money, as well as educational opportunities for all ages and interests. The show takes place March 17-19 at the Sacramento Convention Center and includes a world-class auction by Heritage Auction Galleries and hundreds of dealers and vendors. 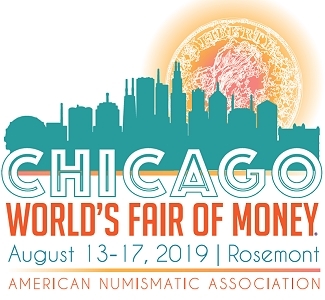 The ANA Museum Showcase (Booth 633) is an incredible display of numismatic rarities from the ANA’s Edward C. Rochette Money Museum and private collections. 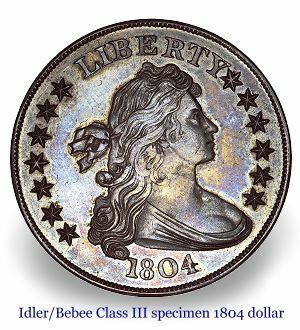 Exhibits include the Idler/Bebee Class III specimen 1804 dollar, dubbed “The King of U.S. Coins,” and the McDermott/Bebee specimen 1913 Liberty Head “V” nickel, one of five known. 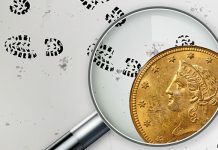 The exhibit “Money of the Gold Rush,” displayed courtesy of Holabird-Kagin Americana, explores how gold developed in the Old West from dust to gold exchange notes and includes a recently discovered 100-ounce gold nugget – the largest verifiable California nugget in existence. 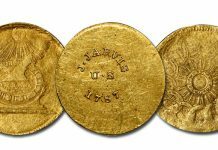 The legendary and unique 1787 Brasher Doubloon with “EB” punch mark on eagle’s breast, the first gold coin made for the United States, will be on display courtesy of Steven L. Contursi and Donald Kagin. “Presidential Coins and Autographs” displays the autograph of every United States President from Washington to Carter, together with vintage coins that circulated during their administrations. An exhibit on California National Bank notes includes a wide selection of paper money from 1863-1935, including notes issued from National Banks in Sacramento, Long Beach and San Francisco. 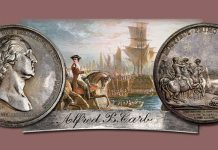 Other marquee exhibits include a display from the United States Mint at Booth 433 and the always-popular Collector Exhibits at Booth 833. The Collector Exhibits area gives ANA members the opportunity to share their collections and research with fellow hobbyists. A wide array of competitive and non-competitive exhibits will be displayed this year. Many educational opportunities await visitors. 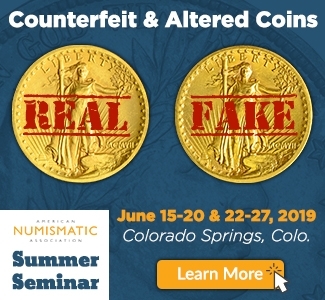 Two pre-convention seminars are being offered: “Coin Conservation, Authentication and Grading,” March 14-16; and “Fundamentals of Digital Photography,” March 14-15. Numismatic Theatre, held throughout the show, lets ANA members discuss their research and ideas in lecture format. 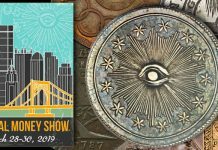 This year’s presentations include “So-Called Dollars,” “California’s 1898 Gold Jubilee” and “The Oldest Living Pioneer.” For a full listing of presentations, visit www.nationalmoneyshow.com. The ANA will offer Boy Scout Coin Collecting Merit Badge and Girl Scout “Fun with Money” Patch workshops on March 19. “Treasure Trivia” is available throughout the convention and is a fun way for children to explore the show, learn interesting facts and win prizes. The “Kids Zone” makes its debut in Sacramento and offers a variety of games and family activities. Tours are available exploring Sacramento, including a convention kickoff event at the Old Sugar Mill and the annual Friendship Luncheon at Lucca Restaurant. Two post-convention events are also available: a Napa Valley Wine Tour on March 20 and “Minting and Mining in Carson City,” an ANA Destination Education event March 20-23. Registration is required for tours and events; visit www.nationalmoneyshow.com for more information. 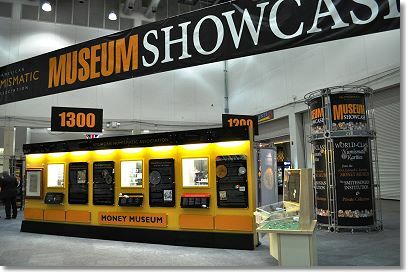 Heritage Auction Galleries is the official auction company for the 2011 Sacramento National Money Show and will conduct live auctions as well as Internet and mail bid auctions. Lot viewings are scheduled throughout the show. For more information, visit www.HA.com. Many of the dealers attending the show will perform free, informal appraisals for visitors’ old coins and currency. The Sacramento National Money Show will be held at the Sacramento Convention Center, 1400 J Street, March 17 – 19 from 9 a.m. to 5:30 p.m. Admission is $6 for adults and free for ANA members and children 12 and under. The Sacramento Valley Coin Club is the event’s host club, and Jeff Shevlin is the event’s general chairman. For more information call 719-482-9857 or visit www.nationalmoneyshow.com. 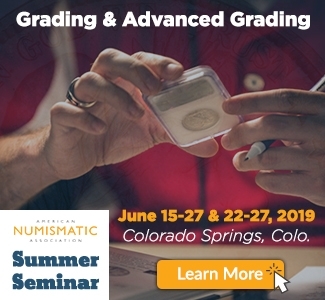 The American Numismatic Association is a congressionally chartered nonprofit educational organization dedicated to encouraging people to study and collect money and related items. The ANA helps its members and the public discover and explore the world of money through its vast array of education and outreach programs, as well as its museum, library, publications, conventions and seminars. For more information, call 719-632-2646 or visit www.money.org.